1.Tell us about yourself, your history with Hep C.
Like many chronic Hepatitis C patients, I found out about my liver disease by surprise. In 1989 I applied for an increase in my life insurance plan. My wife Joanna and I had just had our daughter and more life insurance seemed like a good idea. Needless to say, I was shocked when our agent came to our door and told me I had been denied due to health reasons based on my blood test. He told me he didn't have any specifics at that time but that the only reason he had heard of people being denied due to blood tests was HIV/AIDS. His inept reassuring words were, "Don't worry, Ralph, we all have to go sometime." This was on a Friday and he told me I'd have to wait until the next week before I would find out specifically what the reason was. I felt like I had been kicked in the gut by a karate expert. Suddenly, my mortality was right there in my face. It was NOT a good feeling. Actually, I think it took me years to recover from the shock of being "unwell". I had always been so healthy. When I discovered the problem was elevated liver enzymes I began a quest to find out why. The doctor I chose (recommended by my insurance agent) turned out to be over his head with my problem. At our first meeting he kept asking me if I was experiencing night sweats. Finally, after about the fourth time he asked about this, I inquired why he wanted to know. That's when he told me it was a potential sign of non-Hodgkin's lymphoma. This guy was assuming I had CANCER. 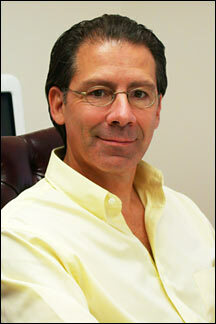 I have been a licensed healthcare professional in New York state for over 25 years. In addition, I am the president of Natural Wellness. and the executive director of the Institute for Integrative Healthcare Studies. (IIHS). IIHS provides home study, graduate level continuing education programs for holistic health professionals. In these varied capacities I am an educator, a healthcare professional and a business person. I have been in the holistic health field for quite some time, as stated above, and actually met my wife Joanna in a health food store in 1987. We have two children, Michael, born in 1999 and Lia, born in 1988. As for me, I am a corporate dropout. Sales and marketing is my background. My last incarnation in the world of big business was as the director of sales training for the largest newspaper company in North America (1 billion dollars in annual revenues). I was making relatively big bucks but the traveling was keeping me from my young family (plus, helping people through the healing arts spoke more to my deepest self). Finally, corporate life was just not worth the tradeoff anymore. I left there six years ago. It was then Joanna and I decided to start a natural health and distance learning education business from home. Since my diagnosis I have consulted with naturopaths, homeopaths, clinical nutritionists, holistic M.D.s, etc. One of the first products I began taking regularly was milk thistle extract because so much was written about it with regard to its centuries long successful use around the world for liver ailments (and every holistic practitioner I spoke with recommended it without reservation. There was no other herb that had as impressive a reputation as milk thistle for liver support and protection. At that time I started taking the best 80% standardized extract I could find and milk thistle has been the mainstay of my regimen ever since. 2. Tell us how you "discovered" the active ingredient in Maximum Milk Thistle® and what gave you the idea to get it on the market. Give us the story of how you have become personally involved in getting a clinically proven natural liver protector to others with liver conditions. At first, in my naive mind I thought all I had to do was take my milk thistle along with lecithin (which contains high levels of PC) and I would enjoy this valuable benefit of more milk thistle getting to my liver. Researching further I discovered that the process was much more sophisticated than that. The researchers had actually bound one molecule from the milk thistle extract to two molecules of PC on a molecular level. The resulting compound was called Silybin Phytosome. . The end result was more like a medicine and less like a supplement. I think of it as a super-charged delivery system. Your body soaks up PC like a sponge soaks up water. The milk thistle extract gets to go along for the ride through your bloodstream to where it does the most good, your liver. We decided that going direct to consumers through the internet was the most cost effective method and would best allow us to offer the lowest price possible. We were able to get the cost as low as $25 per bottle for the same amount of product that would cost $63 through Enzymatic Therapy.. This was a dramatic savings and convinced us we were right to move forward. The site went live in August 2000 and we have helped thousands of people get the best milk thistle product at the best possible price ever since. 3. How do you think this product has helped you and your condition? I was specifically diagnosed with Hepatitis C in 1996 (before that I was still considered non-A non-B because I hadn't gone for the Hepatitis C blood test). My genotype is 1a. The last time it was checked my viral load was over 3 million. As I stated earlier, I've probably had this virus for 30 years. Because I have been taking care of this condition naturally since first discovering my liver was ailing, I have been fortunate not to suffer any of the symptoms so many others have. With regard to Maximum Milk Thistle helping my liver, I have no doubt it is beneficial based on the clinical studies I have read about milk thistle in general and Siliphos. in particular. Both in vivo and in vitro, milk thistle extract has been scientifically proven to protect and regenerate healthy liver cells. In most cases elevated enzyme levels are reduced. Even when enzyme levels are unaffected by milk thistle, fibrosis appears to be slowed considerably according to a study cited in Gastroenterology Journal by Dr. Detlef Schuppan. Dr Schuppan is considered one of the world's leading experts on milk thistle and liver disease. Under the category of "Uses" this is a direct quote, "Toxic liver damage; for supportive treatment in chronic inflammatory liver disease and hepatic cirrhosis." Under the category "Actions" the Commission E Monograph has this to say, "The therapeutic activity of silymarin is based on two sites or mechanisms of action: (a) it alters the structure of the outer cell membrane of the hepatocytes in such a way as to prevent penetration of the liver toxin into the interior of the cell; (b) it stimulates the action of nucleolar polymerase A, resulting in an increase in ribosomal protein synthesis, and thus stimulates the regenerative ability of the liver and the formation of new hepatocytes." This means it both helps to protect and regenerate healthy liver cells. Many people ask me if they will see or feel a difference when taking milk thistle products. The fact is that some people do and some don't. Generally, elevated enzyme levels may be reduced (indicating a reduction in the liver cells dying on a daily basis) but this is not true in all cases. Yet, as Dr. Schuppan pointed out, this does not mean the herb is not helping to protect and support healthy liver function and inhibit fibrosis. Some people report feeling less aches and pains, more energy, less brain fog, etc. Because this varies from person to person no promises or even suggestions can be made about how it may affect any individual. Look at it this way, people don't feel a difference taking cholesterol reducing drugs, but that does not mean those drugs are not doing their job in helping to save or extend their life. 4. Do you believe in eliminating the virus? Is it possible to do this with natural medicines? Totally eliminating the virus from the body is the holy grail of effective treatment (provided you don't have to kill or maim the patient to do so). I have seen no proof that any natural substance or substances can eliminate the virus from the body entirely. One product I know of has been shown in one small 24 month human study to reduce viral load dramatically, but this was only what most scientists would consider to be a pilot study and the virus was not eliminated in any of the individuals tracked. Some people who sell products to "cure Hep C" sell them as a "cure" and claim that they have a "cure". Where are the hundreds or thousands of patients that should be cured by now? Where are the verifiable before and after blood tests? I consider myself to be a discerning open minded skeptic. For instance, I have no doubt that certain thymus products can upregulate the immune system and this could be very helpful. But cure Hepatitis C? I don't think so. As patients we need to remember there are many people selling "snake oil" out there just to make a buck from vulnerable, and sometimes desperate, chronically ill people. This is reprehensible but true. Buyer beware! Look for real scientific studies. Ones that have been published in recognized medical and/or scientific journals. Take a certain company in Canada. They are selling a product here in the U.S. that they are not even allowed to market in their own country because of the inflated unsubstantiated claims they were making. All their proof is foreign studies that are not even recognized by the western medical establishment (you certainly won't find them at the National Library of Medicine). Plus, this company recommends that hepatitis patients take just their product for six months and no other supplement or herb. Why is that? So the customer won't feel as bad about spending nearly $100 per month on this questionable product? What danger would there be in also taking milk thistle, or schisandra, or dandelion, or artichoke, or NAC, or ALA, or selenium, or a good multi-vitamin without iron? Another well known company in the liver supplement arena was recently fined $60,000 by the FTC (Federal Trade Commission) for making unsubstantiated claims about their products. This is unfortunate. For someone who is deficient in any of the elements included in their key product, it could have a real beneficial effect. Just don't go claiming it is going to treat or cure Hepatitis C.
There are probably hundreds of natural substances which can be good for your liver, but there are none that are known to be "cures". You need to carefully choose the few or several natural substances that may do you the most good without sending you to the poorhouse and/or thinking they are truly going to "cure" you. 5. Can you tell us what makes your milk thistle product different from other ones available? As stated earlier, the key dramatic difference is absorption. Take all the studies about milk thistle benefits and multiply by up to 10 because that is how much more reaches your liver (and how much less goes into your toilet). This also makes Maximum Milk Thistle a much greater value based on how much more actually gets to your liver cells. There is one other key difference. Explaining it sometimes confuses people, but I'll give it my best shot here. Only the proven most beneficial component of milk thistle extract is used in Siliphos., the active ingredient in Maximum Milk Thistle. You see, milk thistle extract is called silymarin. When you buy 80% standardized milk thistle that means the raw plant material is processed and purified to contain 80% silymarin. Silymarin is made up of several bioflavonoids. The 3 active ones are silibin (sometimes spelled silbinin or silybin), silychristin, and silydianin). Silibin makes up 60% of silymarin and has been proven to have the most beneficial effect on the liver. In fact, all of silymarin's beneficial effects can be directly attributed to silibin. Now consider milk thistle. Silibin has been shown to be the most active beneficial constituent of the plant for your liver. The company we get Siliphos. from isolates the silibin and binds it to phosphatidylcholine in a patented process which increases absorption. So not only are you getting a super charged delivery system, this system is delivering the most valuable and beneficial constituent of the milk thistle plant. 6. Do you think someone with Hep C should take just milk thistle or should they also use other supplements in addition to the milk thistle? Once you decide you are going to take milk thistle you may as well take Maximum Milk Thistle to be sure you are getting maximum benefit at minimum cost. Of course, there are other supplements I believe to be important, too. I would never suggest milk thistle is the only valuable supplement you could take to assist your liver to continue to function normally. 7. Are there other supplements that you recommend taking with the milk thistle? Which ones? To reinforce the protective and supportive action of Maximum Milk Thistle I have added Liv.52. and Liver Kampo (also known as sho-saiko-to) to my protocol. They are both herbal combinations, one ayurvedic (from India) and one Japanese, respectively. The reason I chose these is that there is a plethora of scientific validation of their effectiveness and safety. Liv.52. has been most successful with detoxifying certain substances like alcohol. For people who are in a more toxic environment or are concerned about what they ingest (such as alcohol---which is certainly not recommended) then this product may be very helpful. Liver Kampo is produced using traditional eastern herbs that aid the liver. The manufacturer, Honso, then standardizes them and produces the product using pharmaceutical grade standards. In fact, this is considered a true medicine in Japan where it is prescribed by doctors for liver concerns because it, too, has been shown to protect and support liver cells. These two products are available at LiverSupport.com and at better prices than you can get elsewhere. Not available at our site at this time, but still on my "A" list are certain supplements you can get in any health food store. These are not necessarily listed in a hierarchial order. The first is NAC or N-acetyl-cysteine. This is readily turned into glutathione by your body. Glutathione is essential for normal phase two detoxification in your liver. You can buy oral glutathione, but it is considerably more expensive than NAC and there is some controversy among biochemists and clinical nutritionists as to whether it passes through your digestive system intact. NAC is cheaper and it is known to be easily transformed into glutathione in your body. To give you an idea of its importance let me give you this example; if you were rushed to the hospital with Tylenol (acetaminophen) poisoning they would give you intravenous NAC to detoxify the acetaminophen before it destroyed too many liver cells and killed you. Next there is selenium. I take 200mcgs per day. Retrospective studies in China showed that provinces with elevated levels of hepatocellular carcinoma (liver cancer) were brought to normal levels very quickly by the introduction of selenium to the inhabitants' otherwise selenium deficient diets. As someone with a liver disease, liver cancer is definitely something I want to avoid (and selenium is very inexpensive). I also take a good multi-vitamin without iron. And, no, it is not Centrum. The brand is Biotics and you can normally only get it through a healthcare professional because it is not sold in health food stores or vitamin shops. Although Maximum Milk Thistle contains phosphatidylcholine I still supplement with additional amounts. It has been shown to be a valuable supplement for liver health. There are granules from the vitamin company Solgar® that are 95% phosphatides. This is the one I choose. I usually mix it in health shakes I ingest on a regular basis. Alpha Lipoic Acid (a.k.a. Thiotic Acid) is also on my "A" list because it has a great reputation as an antioxidant and antiviral within the HIV community. There is a doctor in Texas who has been getting quite a bit of press with his "triple antioxidant therapy" for Hepatitis C. The keystone to this therapy is ALA. Also included in his protocol is milk thistle extract and selenium (what a coincidence). 600mg of ALA per day is his recommendation and I concur. I am also testing the supplement I mentioned earlier which claims to lower viral load dramatically. The company is very reputable and I have spoken to their president. If my viral load goes down measurably I will feel more comfortable recommending this product by name (and perhaps making it available on the LiverSupport.com website. 8. Do you care to tell us what your personal health regimen is and how you feel it has affected your health and well being. The most important aspect of dealing with this disease is lifestyle modification. Even to take supplements regularly most people need to modify their lifestyle in order to fit this into their schedule on a habitual basis. You would not believe the number of people who can't seem to take 3 capsules of milk thistle per day on a daily basis, just because they are unaccustomed to making this a habitual part of their lives. Regular exercise (at least four days per week) is invaluable. Even if you are somewhat debilitated, do what you can to keep your body moving. A little is much better than none. But regularity is keenly important (as with most things of value in life, consistency is more important than intensity). I lift weights, ride my bike, walk and occasionally do a bit of yoga. I was a runner for 14 years but it just doesn't fit into my lifestyle anymore. Don't forget or underestimate the power of laughter. That includes both books of humor and movies/videos. You should be able to acquire any of these by visiting your local library and asking the librarian. Even in our little town they have county wide interlibrary loans that put nearly any book or tape I want at my fingertips. Sometimes what you don't do is even more important than what you do. Alcohol in any amounts is a liver poison, avoid it. Even if that means joining a program to help you stop drinking. Salt should be limited. Fried foods are a real negative. Avoid processed meats and high sugar content soft drinks. Don't overeat. Avoid or limit coffee intake. Eat less processed foods. Eliminate or at least minimize drug use. This includes recreational and prescription drugs and over the counter medications. All of these substances need to be processed by the liver and put more of a strain on it (some more than others, of course). On the "more" side, eat more whole seeds and nuts for essential fatty acids. Drink more green tea. Eat more green and whole foods. Get a juicer and drink my favorite combo, carrot, celery and beet with a bit of parsley. Eat more garlic. Raw is best if you don't mind alienating your family or friends for awhile. You don't have to become a fanatic. Just eat more and more sensibly, exercise regularly, get plenty of rest and find ways to reduce stress (or to minimize its effects on you). 9. Any recommendations for those who are newly diagnosed? Yes, don't despair. Far more of us will die WITH this disease than FROM it. One of the keys, I believe, is to stay as healthy as possible until a real cure or much more effective (and less debilitating) treatment is discovered. The CDC estimates that 70% of North Americans with Hepatitis C have genotype 1. This is the most resistant type to today's foremost prevailing medical therapy (INTERFERON and RIBAVIRIN). For people who are diagnosed with genotype 2 there is a much greater likelihood that this therapy will work and if I were type 2 I might give it serious consideration. Be sure to get lots of information, such as what is provided on the healthyhepper.com website and places like hepatitis-central.com. Get more than one medical opinion. M.D. does not stand for Medical Deity. If you can find a bona fide Naturopath in your area, consult with them also. They have a broad range of knowledge in the natural healing arts. 10. What are your thoughts on cirrhosis? Once someone is diagnosed with cirrhosis, is it too late to turn to alternative therapy? Can someone with cirrhosis take milk thistle? Cirrhosis is a serious condition. Doctors consider it irreversible. Some complementary therapists believe it is possible to slow, stop and possibly reverse it. Certain herbs, including milk thistle) are thought to help with this situation. Again, be informed, get more than one medical opinion, find a Naturopath and never, never, never give up. Vikki Shaw at Hepatitis-Central.com was told she had severe cirrhosis and six months to live. That was over six years ago and Vikki is still going strong (not without some debilitation and discomfort, but she is far from dead and buried). 11. What do you consider a cure? 12. Have you or anyone close to you tried the conventional Hep C treatment? Are you against using interferon/rebetron? What are your beliefs about the effects of this treatment on your health? Of course, most people calling the office to speak with me about hepatitis generally have not had a successful course of medical treatment. They are what the doctors call "non-responders". They are looking for other ways to protect and support their liver. For genotype 1 patients my gastroenterologist said it best, "Interferon is a drug looking for a disease to cure and with genotype 1, Hepatitis C is not that disease." 13. Can milk thistle be used while a person is on conventional treatment? 14. If someone has Hep C and continues to drink alcohol on a social basis, say once a week, are they doing significant damage to their liver? Can milk thistle help a person who wants to drink in moderation even though they have hep C? If you can't stop drinking completely when you know it can be life threatening in your case, then you have a drinking problem and should get help. Social drinking is to get high. To loosen up. To relax. Otherwise holding a glass of seltzer in your hand would do, wouldn't it? There are other, less toxic ways to accomplish this (and many of them don't even involve the use of mind or mood altering substances). For times of intense but not long lasting stress you may want to try "Rescue Remedy". It is a flower remedy mixture that has always worked well for me and my family. Incidentally, clinical tests have recently shown that cigarette smoking can exacerbate the liver harming effects of Hepatitis C. So, if you are smoking please find a way to quit. It is a matter of your life. Even if you don't live longer you may live better. 15. You have information on your site about how to get involved with issues that affect people with Hep C, politically. Do you get involved with activities that help some of these groups? What do you feel impassioned about with regard to these issues? This website empowers individuals, with the help of technology, to quickly and easily write to their congressional representatives (even if they don't currently know who their representatives are and even if they don't feel comfortable writing a letter). 16. Is there a certain "liver cleanse" recipe that you go with? Like olive oil, lemon and garlic? Do you recommend a certain way of cleansing the liver? 17. If one splurges on things they know are bad for their liver and then they decide to "clean up" their act, what are the steps you would recommend, what would be your advice? If you do things that are bad for your liver you first need to stop doing them and then you need to start doing the good. Most people know what to do, they just don't bother to make the lifestyle changes necessary to do it. This involves willpower and consciousness, thinking differently, eating differently, drinking differently, dealing with stress differently, etc. It is basically living differently and most people are more apt to go with inertia and do what they have always done. That is one of the reasons Thoreau said, "Most men lead lives of quiet desperation." You need to be brave to change. You need to want to live differently. You need to want to live. You need a spiritual connection. Most people are stuck just getting by. There is nothing wrong with asking for help. There are professionals who can assist in lifestyle and behavior modification. Don't be shy. If you need help, seek it out. 18. What is the one thing you want to share with people who suffer from Hep C that you think might help them over come some of the difficulties they face? Too many of us live our lives based on old habit patterns, not deliberate actions. If you look at the word deliberate it is quite interesting. In its Latin roots it means "of liberation" yet we interpret it to mean "to think deeply and carefully about". This is because thinking deeply and carefully about things liberates you to live your life with clarity and integrity.